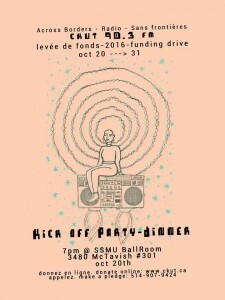 We’re gearing up for our annual funding drive! You know that means: we’re running around like crazy organizing events, hustling up sweet prizes, and making sure the whole world knows how truly kickass CKUT is. Wanna learn more about the funding drive or show us some love? Hit up our funding website for all the details. 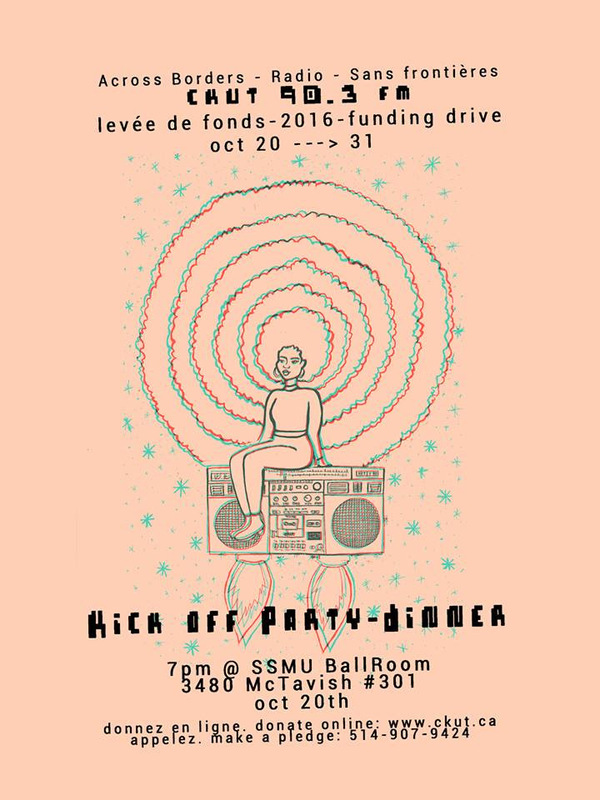 FUNDING DRIVE! That’s what’s up, of course. We’re reaching out to our listeners and asking for support to help us continue broadcasting the most boundary-pushing, trailblazing content in Montreal and beyond. From our award-winning spoken word and news coverage to our die-hard support of local music, we’re not afraid to take risks and we wanna keep this trend going for many years to come. We’ve helped launch the careers of countless Montreal artists (shoutout to our buddies Grimes andOught, who think CKUT is “the best place on earth“) and we’re consistently voted asthe city’s #1 radio station. Need another reason to help keep CKUT alive? Check out our amazing merch goodies. It all kicks off this Thursday at noon and we want you on board for the ride — LET’S MAKE IT HAPPEN! This entry was posted in CKUT programming on October 18, 2016 by CKUT Music Coordinator.